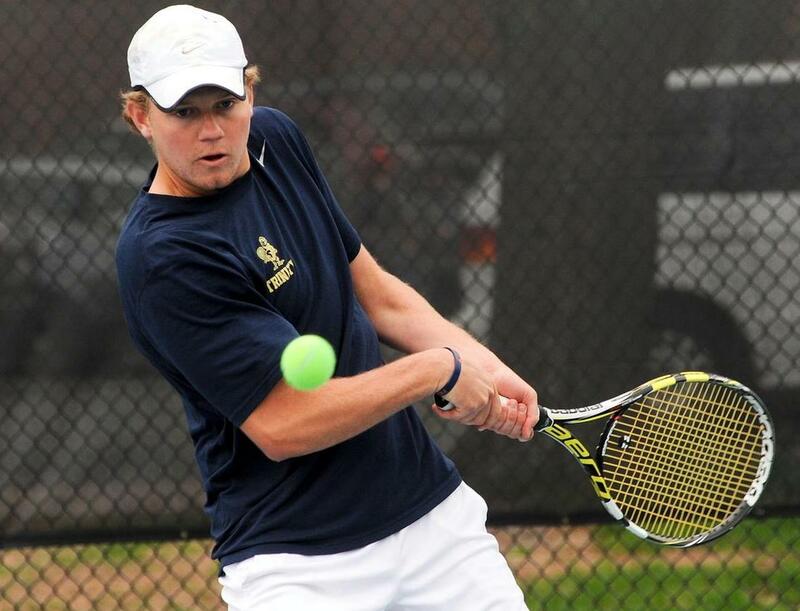 Courtland Boyle, Dylan Powell and their Trinity College Men’s Tennis teammates dropped a 7-2 decision against the Bowdoin College in New England Small College Athletic Conference (NESCAC) Men's Tennis action on a neutral court at Redlands University. Playing in the number One Doubles position Boyle teamed up with Ross DeRose and the pair went down 8 – 1 to Grant Urken and Jerry Jiang. Powell was playing in the Doubles number Two spot alongside Chris Caskin and they would fall 8 – 6 to Larry Zhao and Justin Wang. Powell and Zhano would battle in a three set match with Zhano winning the Singles number 4 spot, Powell won the first set 7-5, but Zhao won the second set 6-1, Zhano would win the match winning the third set 10-6. Boyle would fall in straight sets 6-1, 6-1 to Luke Carstens in the number Five Singles spot.